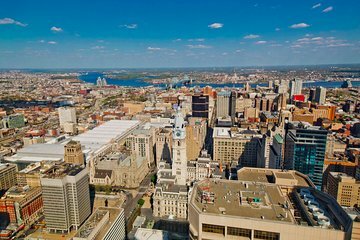 Enjoy double the fantastic views from the One Liberty Observation Deck with this Sun and Stars Pass. Good for 2 visits by one guest, this ticket means you can ascend the tower twice; once for a panoramic daytime view and once to admire the city lights. Learn about The City of Brotherly Love's history through the educational displays and get up-close views of local landmarks from the onsite touch screens. Bring your camera for spectacular photo ops from 833 feet (253 meters) above street level.